Don’t miss it! 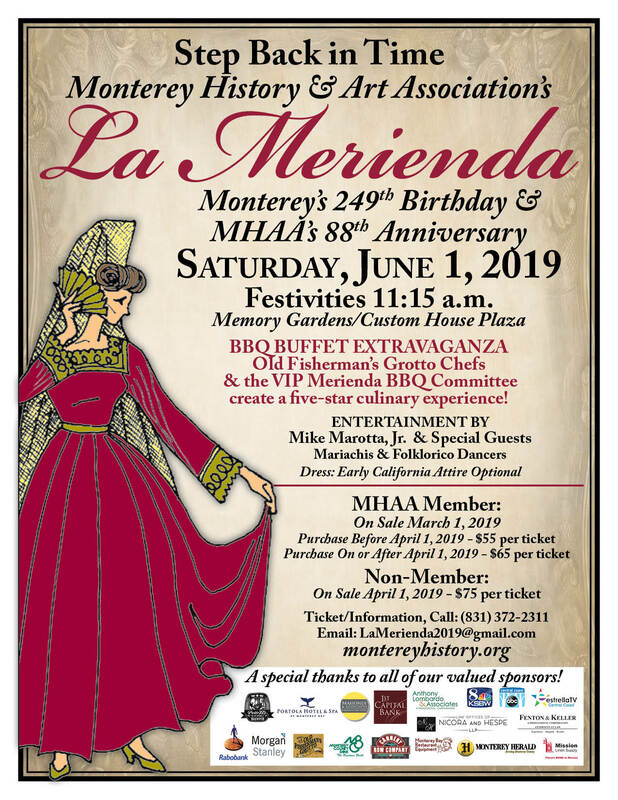 The 88th Annual La Merienda will be held on Saturday, June 1, 2019. Tickets are available here. La Merienda celebrates the City of Monterey’s 249th birthday with a very special BARBECUE BUFFET EXTRAVAGANZA, a five-star culinary experience created by the OLD FISHERMAN’S GROTTO CHEFS and the VIP Merienda Barbecue Committee, with entertainment by Mike Marotta, Jr. & special guests, mariachis, folklorico dancers, and a festive “Californio” party in the historic Memory Garden on Custom House Plaza on Saturday, June 1, 2019. 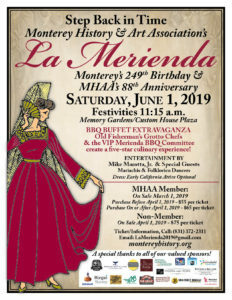 Monterey’s 248th birthday celebration “La Merienda”, the City’s oldest and very significant annual event, will be held on Saturday, June 1, 2019, from 11:15 am to 3 pm in the Memory Garden on Custom House Plaza. For the past 88 years, the Monterey History & Art Association has hosted this community fiesta to commemorate the founding of the City of Monterey when in 1770 Father Junipero Serra and Captain Gaspar de Portola celebrated with a picnic overlooking the Monterey Bay. The OLD FISHERMAN’S GROTTO CHEFS and the VIP Merienda Barbeque Committee will once again create La Merienda’s BBQ BUFFET EXTRAVAGANZA, a five-star culinary experience that includes Certified Angus Beef New York Steak, BBQ chicken breast, mild Italian sausage, salmon, sautéed shrimp scamp, Paella and more delicious accompaniments and a few culinary surprises. This mouthwatering feast will be followed by the La Merienda traditional dessert, a beautiful multi-layered birthday cake decorated with roses, from Layers Bakery, cut ceremoniously with the historic sword of Colonel Fitch. La Merienda also features Master of Ceremonies David Marzetti and outstanding entertainment by local legend and accordion player extraordinaire Mike Marotta Jr. and his special guests, mariachis and folkorico dancers. Gallant dons, donas and senoritas in 18th century costumes will be the order of the day at this festive “Californio” party. Community Members are invited to Host a Party Within the Party! La Merienda can be described as a “party within a party” with uniquely decorated hosted tables. Attendees invite friends, don a costume, decorate a table, and have fun at this festive event! Local companies are encouraged to purchase a table for their staff or special customers. Or, just come for the celebration, join a table and make some new friends. Meet elected officials, military leaders, and local dignitaries at this not-to-be-missed annual event! This outstanding party attracts over 500 people each year. Monterey History & Art Association (MHAA) has hosted this party for the last 88 years and all proceeds go towards supporting Monterey’s history and arts programs, Mayo Hayes O’Donnell Library, Sloat Landing, Casa Serrano, Doud House and Garden, Dali 17, and La Merienda. Saturday, June 1, 2019 from 11:15 a.m. – 3:00 p.m. Parking: With the purchase of a ticket, FREE PARKING will be available in the City of Monterey’s WEST GARAGE parking lot on Franklin Street behind the Wells Fargo Bank. Your free parking pass will be given to you upon check in at the Memory Garden Gate as you enterLa Merienda. Additional paid parking is available in the Waterfront parking lot adjacent to Monterey’s Old Fisherman’s Wharf or in the parking lot on Scott Street above Pacific Street. If you are purchasing member tickets, please be sure your Monterey History & Art Association membership is current. Purchase tickets here or print the reservation form, fill it out, and mail with payment to Monterey History and Art/Merienda, P.O. Box 1415, Monterey, CA 93942. 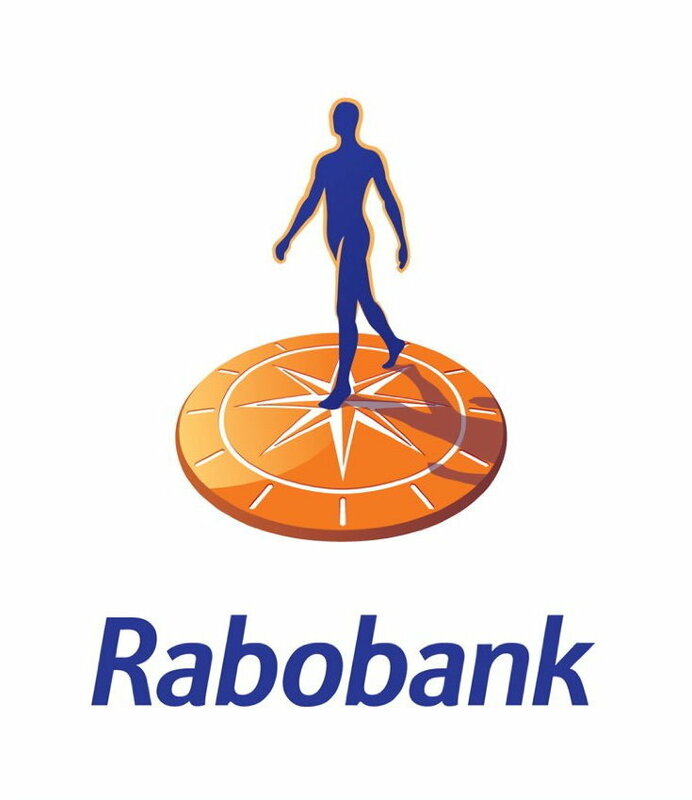 Online ticket sales temporarily unavailable. For more information call (831) 372-2311 or email LaMerienda2019@gmail.com. La Merienda (Spanish word for picnic) includes great food and entertainment, a procession, and much, much more. This not-to-be missed very special community event celebrates the founding of the City of Monterey in June 1770 when Father Junipero Serra (recently canonized as a Saint by Pope Francis) and Captain Gaspar de Portola celebrated with a picnic overlooking the Monterey Bay. La Merienda, Monterey’s annual birthday party, is a colorful fiesta barbecue of delicious foods, wine, beer, soft drinks, gallant dons and donas, lovely senoritas, lively music and festive dance. La Merienda (the Spanish term for afternoon picnic or mid-day meal) re-enacts an elegant 18th century fiesta. It celebrates the founding of the town of Monterey on June 3, 1770 when Padre Junípero Serra, father of the California missions (now Saint Serra), and Captain Gaspar de Portola, a Spanish military leader, joined forces to establish the pueblo of Monterey, California’s first Capital. Their meeting also honored the founding of the “Royal Presidio Chapel”, which today is known as San Carlos Cathedral. After the ceremonies that day, everyone sat down for a picnic under a large oak tree near their ship, the San Antonio, which rested in the harbor. The first modern Merienda was celebrated in 1929, two years before the formation of the Monterey History & Art Association. A ceremony at Colton Hall and a small luncheon at the Memory Garden marked the occasion. It was presided over by Carmel Martin and Harry Greene. The next year, 350 people joined Carmel Martin, who again acted as Master of Ceremonies, in the Memory Garden and once again celebrated Monterey’s birthday. The Monterey History & Art Association has celebrated this important early California historic event every year since the Association was established in 1931 (except one year during World War II). 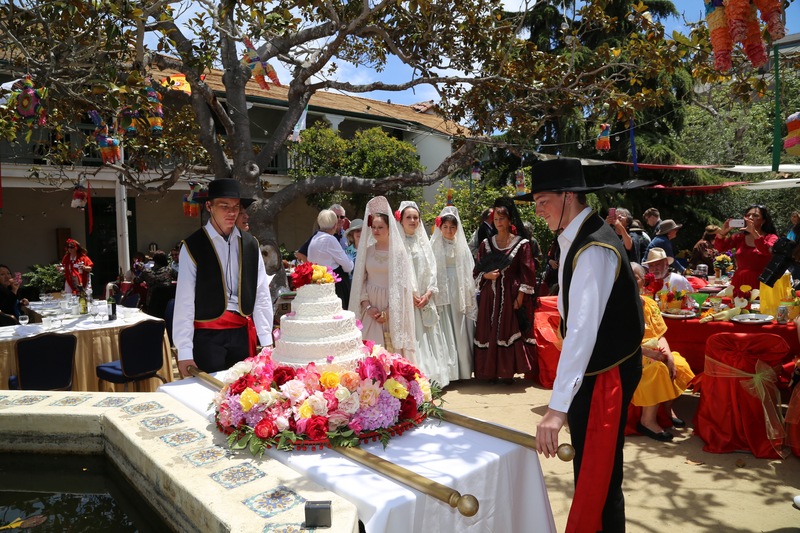 Each year since La Merienda was founded, a local young woman with historic connections to Monterey is chosen as La Favorita, and with her lovely court, reigns over this unique celebration of Monterey’s history. Two other young women are selected to serve as her attendants (“Doncellas”). The women who are chosen for these roles, accompanied by a chaperone (“La Duena”) can trace their ancestry back through Monterey history many generations. These attractive young women dress in traditional white Spanish gowns and mantillas (scarfs) and greet guests, cut the birthday cake and hold court at the celebration. The large rose-adorned birthday cake is carried in by local young men (“cake-bearers”), and is sliced with the sword of Colonel Roger S. Fitch, the first President of the Monterey History & Art Association. This event has been sponsored annually by the Monterey History & Art Association for 87 years. Members of Monterey History & Art Association serve as voluntary hosts and hostesses in period costumes at colorfully decorated tables. All guests are also welcome to dress in 18th century costume. The colorful celebration is held in the Memory Gardens, located near the Custom House Plaza in historic downtown Monterey behind the Portola Plaza Hotel. Festivities begin at 11:15 A. M. with dancing. The doors open to the Memory Gardens where the aromas of the delicious barbeque greet the guests. Day-long entertainment includes live music, Mariachis and folklorico dancers as well as a procession of local and international dignitaries and costumed ladies and gentlemen, reenacting an old tradition. The gaily-decorated tables are hosted by more than 50 MHAA volunteers, who provide hospitality to the guests. After the BARBECUE BUFFET EXTRAVAGANZA (served by another 25 well-known elected officials and local volunteers) the traditional Merienda birthday cake is paraded around the Garden and then cut and served with much ceremony. The La Merienda Barbecue is always served by well-known community members. In past years, La Merienda Barbecue servers have included Peter Coniglio, who coordinated this part of the event in the past for over 40 years, with Chris Shake taking it on in 2015. The 2018 La Merienda Barbecue Committee included: Honorable Leon Panetta, former Secretary of Defense and Director of CIA, Congressman Jimmy Panetta, California State Assemblymember Mark Stone, Monterey County Sheriff Steve Bernal, Monterey County District Attorney Dean Flippo, Monterey Regional Airport Director Carl Miller, City of Monterey Councilman Dan Albert, City of Monterey Councilman Ed Smith, former Mayor Dan Albert, Honorable Stephanie Hulsey, Honorable John Price, former Supervisor Dave Potter, Dan Baldwin, Mike Bruno, Marc Del Piero, Eric Del Piero, John Del Piero, Jay Hudson, Jeff Krebs, Rolf Trautsch, Chris Shake, Sabu Shake, Jr., Tony Leyva, Rich Pepe, Al Nicora, John Lotz, Larissa Del Piero, Paul Del Piero, Chris Panetta, Dougie Tarantino, Tom Verga, Tina Del Piero and Lynn Tomblinson, Hostesses for BBQ Crew. La Merienda sponsorships, donations and other services help to defray the cost of this unique not-to-be-missed Monterey celebration. All proceeds above the cost of the Merienda itself go to Monterey History & Art Association’s support and maintenance of Casa Serrano, the Doud House and the Mayo Hayes O’Donnell Library. Thank you to all of our valued sponsors of the 87th Annual La Merienda!